Nairobi (Kenya):Security staff keep guard at the scene of a bus attack in Mandera, northern Kenya, on Nov. 22, 2014. 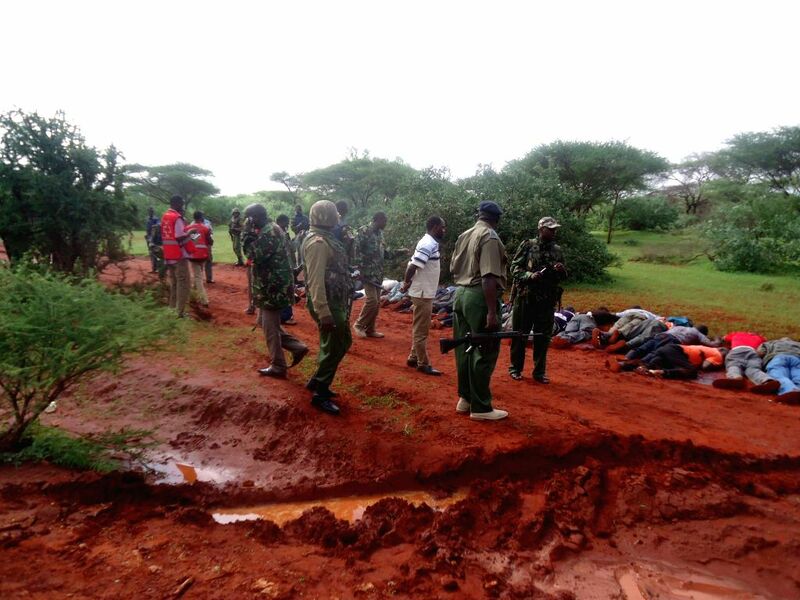 Kenyan authorities have ordered a security crackdown on suspected gunmen of Somali origin who killed 28 people early Saturday in Mandera, which borders Somalia. 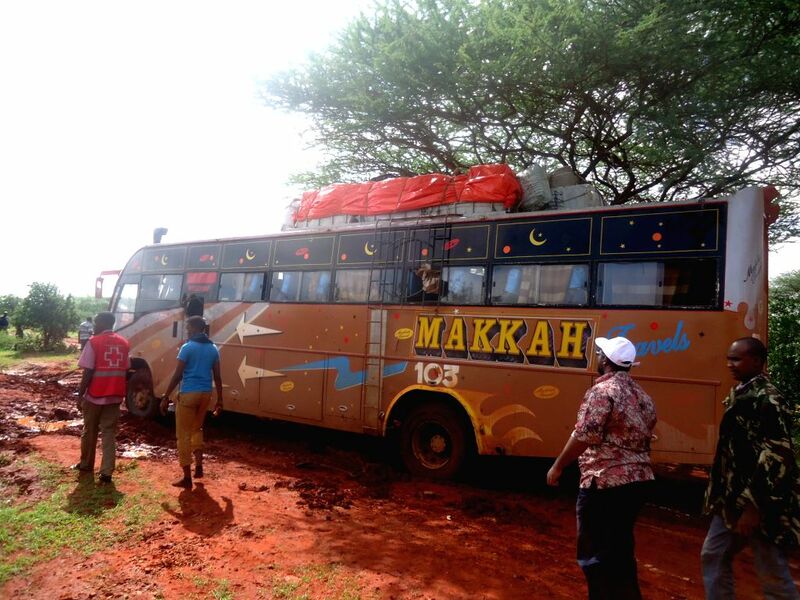 Nairobi (Kenya): Photo taken on Nov. 22, 2014 shows the hijacked bus in Mandera, northern Kenya.